The Ultimate Bike Buying Guide: What Kind of Bike Should I Get in 2019? Once upon a time, bikes seemed like such simple, basic things. All you really had to worry about was keeping your chain oiled and dirt out of the gearing. The rest was just fun in the sun, whether you were riding down the road in front of your house, in your yard, or in a park somewhere. Today, things are much more complicated thanks in large part to the explosion of different bicycle types. You’ll find a host of options on the market, and they’re all designed to do something different. How are you supposed to choose which bike is right for your needs? Which is the best bike for your purposes? It’s actually not all that difficult to tell which bike style is best suited to your purposes, needs and goals, but you do need to know a bit more about each option on the market, the benefits and drawbacks offered, and how they stack up to one another. In this guide, we’ll walk you through what you need to know to compare bike styles, and find the best bike for you. 1 Understanding the Many Types of Bikes and How to Choose the Best Option for Your Needs? 1.2 Where will you ride? 1.3 Who will I be riding with and what type of bike do they own? 1.4 What do you want out of your riding experience? 1.5 What have you ridden in the past, and what have you liked and disliked about the experience? 1.6 Do you need to carry cargo while riding? 1.7 How much does comfort matter to you? Understanding the Many Types of Bikes and How to Choose the Best Option for Your Needs? Before we start comparing how the various bike types stack up to one another, it’s important to realize just why there are so many bike styles on the market in the first place. The truth is that each bike style was developed to fit a specific set of requirements, riding conditions, and rider goals. For instance, narrower tires were developed to help with speed and handling. Wider tires provide better grip and cushioning. Aluminum frames offer lightness and portability, whereas steel frames offer stability and durability. 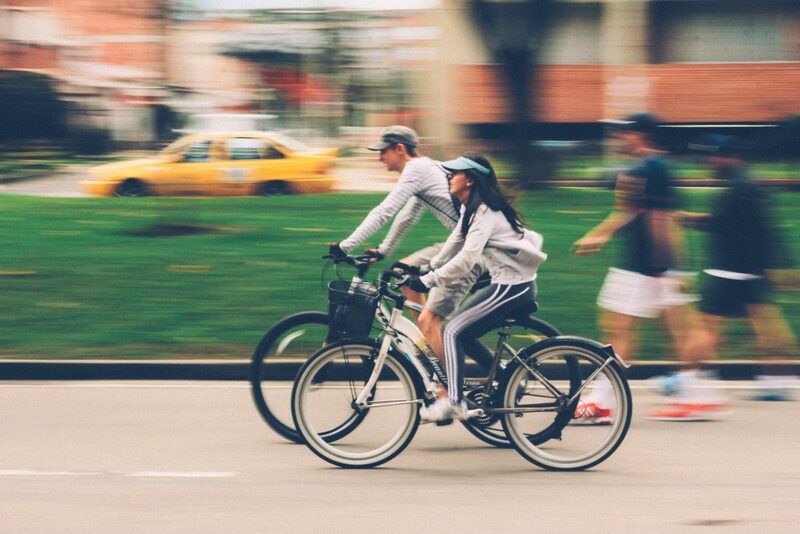 Single-speed bikes offer low maintenance, no-hassle riding, but multi-speed bikes deliver greater capabilities and allow you to harness your body’s energy better. Essentially, there are so many types of bikes because there are so many types of rider and riding environments. And make no mistake – new bike styles are still being developed today! There are innovative trike-style bikes that offer low centers of gravity and are steered by upright levers rather than handlebars. There are new options in electric bikes that offer assistance where it’s needed most. There are new cruiser designs, and much more. Of course, that explosion of bike styles just makes it that much more difficult to determine which is the best bike for you. Let’s clear things up. This is one of the most important questions to answer accurately, and the answer will have a profound impact on the type of bike you purchase. For instance, if you will be primarily riding in rough, off-road conditions, you certainly would not benefit from a road bike, or from a touring bike. Who will I be riding with and what type of bike do they own? Another important question to answer, this one will affect things like whether you need to worry about attaining high speeds, or if your ride will be more focused on comfort. 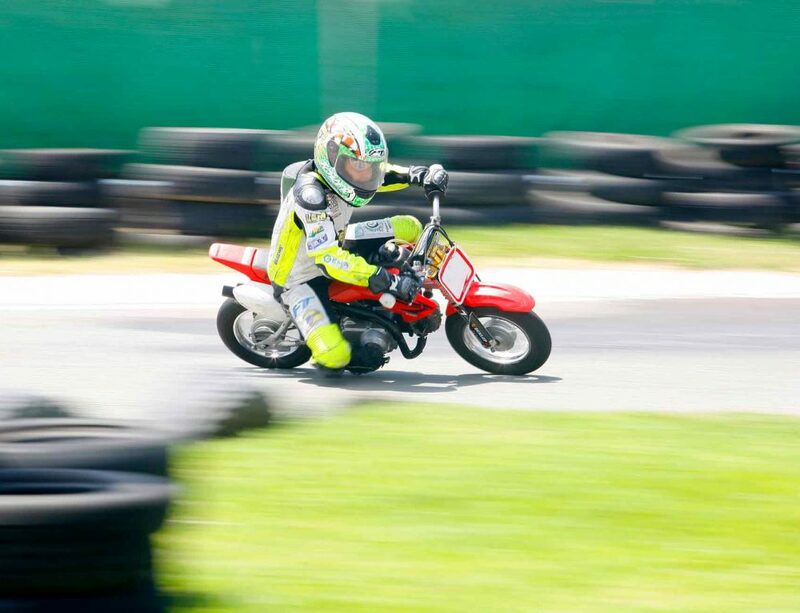 For instance, if you’re riding with a fitness-minded friend, then a road bike might be ideal, but if you were riding with younger children, you would not need high-speed capabilities. If you were riding with an aging parent or other relative, you would probably focus on comfort over speed or off-road capabilities, too. What do you want out of your riding experience? Do you want to ride fast? Do you want to get off the beaten path and experience the thrill of adventure? Do you want to casually ride around town, enjoying the sunshine and beautiful weather? What do you want to get out of the riding experience? What have you ridden in the past, and what have you liked and disliked about the experience? What bikes have you ridden in the past? What was it about those bikes that you appreciated, or that you did not like? By avoiding features that you did not like, configurations that you found uncomfortable, or bike styles that were difficult for you to control, you can help ensure that you make an informed decision and are able to choose the best bike style for your specific needs, wants and goals. Do you need to carry cargo while riding? Will you need to carry luggage, groceries or other items with you on your bike? If so, you’ll need to ensure that you consider bikes that can be outfitted with luggage racks/platforms, baskets for carrying goods, and more. This immediately cuts several bike styles out of the running, allowing you to focus more on sturdier, more robust bikes that offer load carrying capabilities. How comfortable do you want to be while on your bike? Is it your primary concern, or is it something you really aren’t’ worried about? Or, do you want good comfort, but also good performance? If you’re more concerned with comfort than capability, then you should focus on cruisers and similar specialty bikes, although a touring bike might be worth considering if you want good performance and decent comfort. Road Bikes – This category includes a host of specific styles, such as touring bikes and racing bikes, but they all work best on pavement. Mountain Bikes – This category also includes a ton of different styles, but they are all designed for off-road use, rather than for use on pavement. 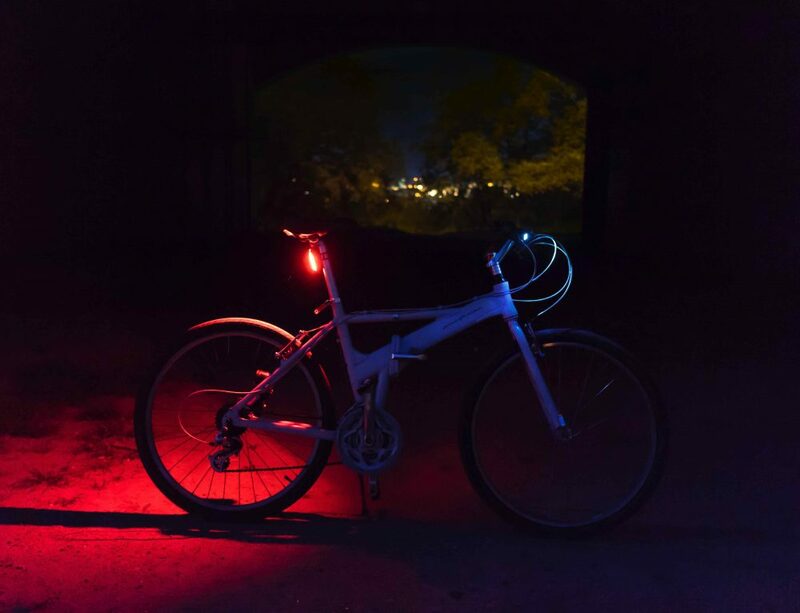 Hybrids – Hybrid bikes straddle the line between road bike and mountain bike, and can be used in both environments. However, while they are more than capable of being used on or off road, they excel in neither environment. Think of them like a jack of all trades, rather than a specialist. Specialty Bikes – This is probably the widest ranging category of bike styles on the market, but they are all designed for use on pavement and you’ll find that they either perform poorly, or are not all that well suited to gravel or dirt (sand is another matter for some, though). With those categories laid out, it’s time to delve a bit deeper into them to help you find the best bike style for your needs. Below, we’ve broken all the bike styles down into categories first, and then into individual types of bikes for easier understanding. The road bike category includes quite a few different bike styles. These bikes can be used for fitness, for commuting, for racing, for endurance-related events, and more. Racing bikes are built for speed, not for comfort. They’re super lightweight, and are designed for the rider to sit in a crouched position to reduce wind drag. You will find special gearing that allows you to tackle hills and valleys, as well as the ability to turn very quickly. Endurance bikes are very similar to racing bikes, but they are designed to allow you to assume a more upright riding position. Rather than pure speed, these bikes are designed to help you stay on the road longer. 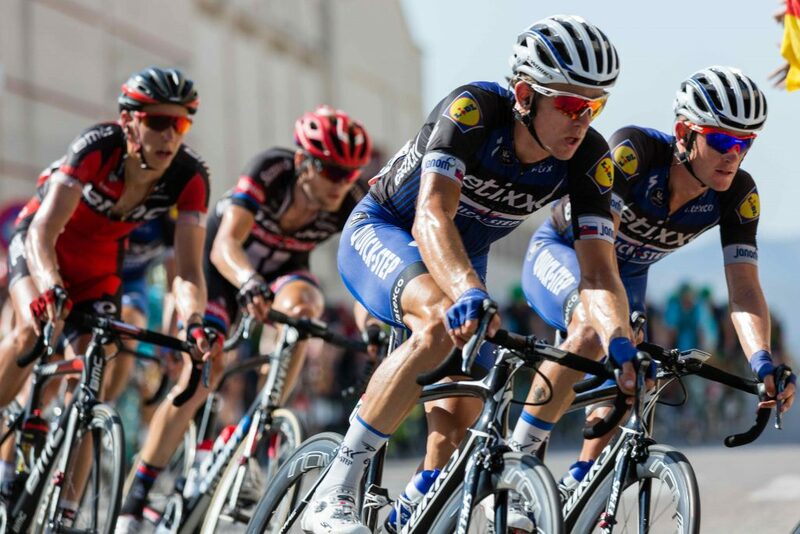 In a way, cyclocross bikes are the original hybrids, as they are designed for riders who must take on a wide range of riding surfaces, including pavement, gravel, dirt, grass and more within sporting events. Touring bikes are built for both speed and endurance, with a few nods toward comfort. The frames are stronger and heavier than those found with racing bikes or even with endurance bikes, and the tires tend to be wider, with a squarer aspect ratio that enhances comfort on the road. The term “mountain bike” has changed over time. Once it indicated a specific type of bike, but today it has become a category in its own right. All bikes within this category are designed specifically with off-road use in mind. While they can be used on pavement, they tend to perform rather poorly, and you’ll find that they may have a rougher ride, and that your tires may not last as long if you ride on pavement often. Trail bikes are perhaps the most versatile type of bike within this category. They’re not designed for a specific type of off-road riding, but can handle pretty much anything you might throw at them. Trail bikes are good for both climbing and descending, and have good suspensions to handle almost any type of terrain. Cross-country bikes blur the lines between road bikes (racing and endurance bikes in particular) and trail bikes. They’re built for speed, but also for handling rough terrain. Cross-country bikes are generally used off-road, and must often cover very long distances during each riding session. Light and agile, yet strong and reliable, all-mountain bikes are designed for exactly what it sounds like. They’re what you’d choose if you decided to adopt the life of a Sherpa, or wanted to tackle the Rockies from your bike saddle. They’re nimble yet strong, designed to help you power up the steepest of slopes, while still handling intimidating downhill runs with aplomb. Downhill bikes are actually an off-road type of specialty bike. They’re designed for one purpose only – going down steep hills while providing you with plenty of control. You generally don’t see them in the wild, though. They’re more useful at manmade bike parks, where riders tackle things like wooden ladders, rock gardens and major jumps. Hybrid bikes combine the features from several different types of bikes into a single platform. You’ll find that they are strong enough to be a daily rider, but have narrower tires than cruisers or off-road bikes to support higher speeds. They feature narrower frames for lightweight portability, and can have virtually any type of drivetrain you might need, from single-speed bikes all the way up to 21-speed configurations and a great deal more. Most hybrid bikes put you in a more upright riding position than you would find with a road bike, closer to a mountain bike. However, they offer the speed you need to go longer distances, and the features required to do so in comfort. These bikes often have disc brakes, and flat handlebars, and can usually be equipped with platforms, mounts and the like to help you carry items on your travels. Really, hybrid bikes are good all-around performers, that do not really excel in any particular area. However, depending on your needs, this could be the perfect option for you. Specialty bikes comprise perhaps the widest bicycle category on the market, with entries designed for everything from comfort riding to endurance to making travel easier. If there is something specific that you want to accomplish with your bike that isn’t covered by road or mountain bikes, chances are that you will find something within the specialty bikes category that will help you achieve it. Cruisers are perhaps the most classic style still in widespread use. You’ve seen them before – they usually have fenders, a basket on front, perhaps a luggage rack on the back, and a curvy frame that evokes thoughts of yesteryear. These are excellent bikes for anyone who wants to cruise around town, and are built primarily for comfort and stability. 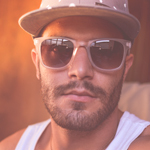 They’re also incredibly durable thanks to their thicker, heavier frame. Many cruisers are single-speed affairs with back-pedal brakes, but you’ll find some models that feature three, seven or even 21-speed drivetrains with hand brakes. Note that cruisers are ideal for riding on asphalt, concrete and on sand thanks to the wide, balloon-style tires. However, they’re not well suited to dirt or loose gravel. Cargo bikes are exactly what they sound like – bikes designed to help you get around with all your stuff. They’re frequently used by bike messengers and delivery personnel, but they are also popular with parents who need to carry children, as well as cargo. These bikes are stout and sturdy, and are not really designed for off-road use. However, they are incredibly durable and very stable even when loaded down with items, which makes them a great choice for in-city use. Note that these bikes are not built for speed, and are slow in comparison with many other styles. Urban bikes are similar to cargo bikes with a dash of cruiser thrown in. These are also used by bike messengers and couriers, and can be outfitted with luggage racks on the rear to carry cargo around town. They are designed specifically for use in an urban environment, and are frequently used as commuter vehicles in some cities. Most urban bikes have front and rear fenders to prevent rainwater or mud from slinging up to spatter on your clothing. They can use any number of drivetrain configurations, and are generally solidly built and designed to last for a very long time through rigorous use. Like cargo bikes, urban bikes are slower than other styles. Ebikes have actually been around for a very long time. They date back to the late 1800s, but had to wait until modern battery technology developed enough to make them feasible for daily use. Today, you’ll find a host of different electric bike models on the market, including those designed for adults and those for kids. 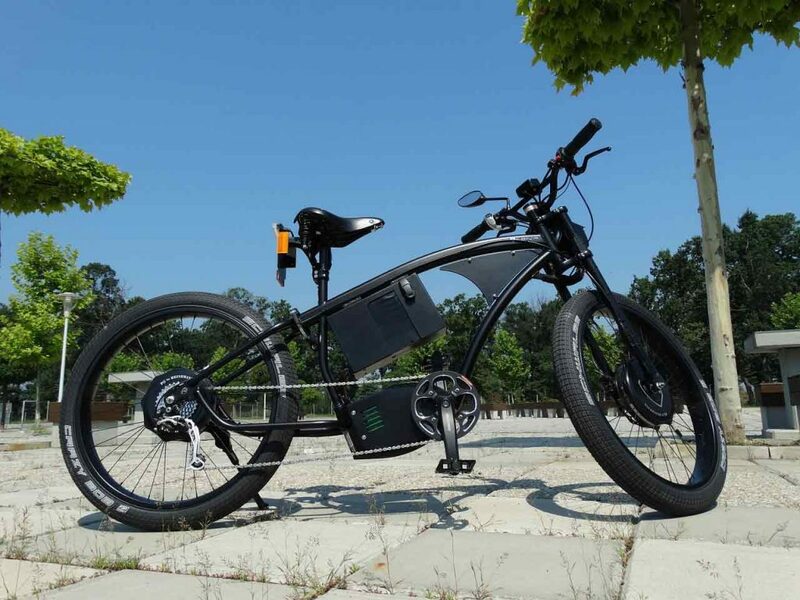 These bikes couple an electric motor to the bike’s drivetrain. 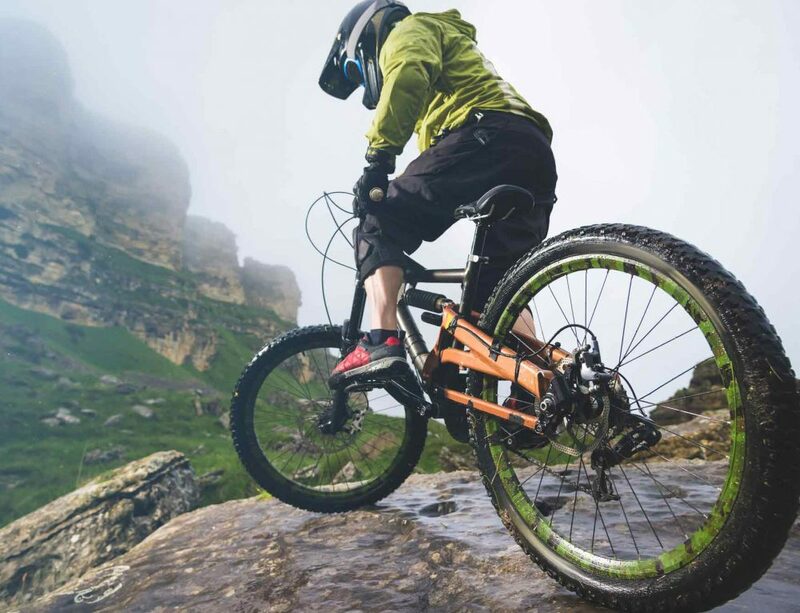 Pedaling the bike charges the battery, which in turn powers the motor to provide a boost when climbing hills, or even take over completely on downhill runs or on straightaways. Some of the more advanced models even offer pedal/battery monitoring systems that can help you apply the right amount of pedal pressure to get the most use out of your battery and motor. Note that these bikes can be used when the battery’s charge is depleted, but they are heavier than non-electric models due to the presence of the battery and motor. Folding bikes are quite unique. They’re designed to be folded for easy storage, or even for traveling on a train or in a car. This also makes them great options for anyone with limited storage space, either at work or at home, and who wants to use a bike for their daily commute. Most folding bikes are designed to be super lightweight, closer to a racing bike than anything else. However, the advanced materials and design allows them to be very strong and durable, as well. Fixed gear bikes, or “fixies” are interesting. They use a similar drivetrain to what you grew up with as a kid, but they lack any freewheel, at least the true fixed gear models do. This means that in order to keep moving forward, you must continually pedal. There is no ability to coast, which may make these a poor choice for those who don’t crave the unique connection between bike and rider that comes from constantly powering it. Fixed gear bikes are often used by professionals who rely on them for speed and capability, such as bike couriers. However, they are not really well-suited for those just starting out, or for those who just want a casual bike ride every now and then. Recumbent bikes are something of a new addition to the world of consumer bicycles, although they have been around in various forms for several years. Unlike conventional bikes that are ridden sitting upright, or leaning forward, these bikes are ridden lying back, at least to some degree. The pedals are mounted behind the front wheel, and the rider usually steers with a pair of levers located near the base of the seat. Most of these bikes have adjustable frames that can be extended or retracted to fit different sized riders, and they are available in two and three-wheel configurations, as well. By this point, you should have a good idea of the various types of bikes on the market, as well as what each can offer you in terms of riding experience. Combine that with the answers to the questions we posed earlier, and you should be on your way to narrowing down your options. However, determining the right type of bike for your needs is only the first step. You’ve honed in on the right bike style, but you still need to find the right fit. How do you do that? 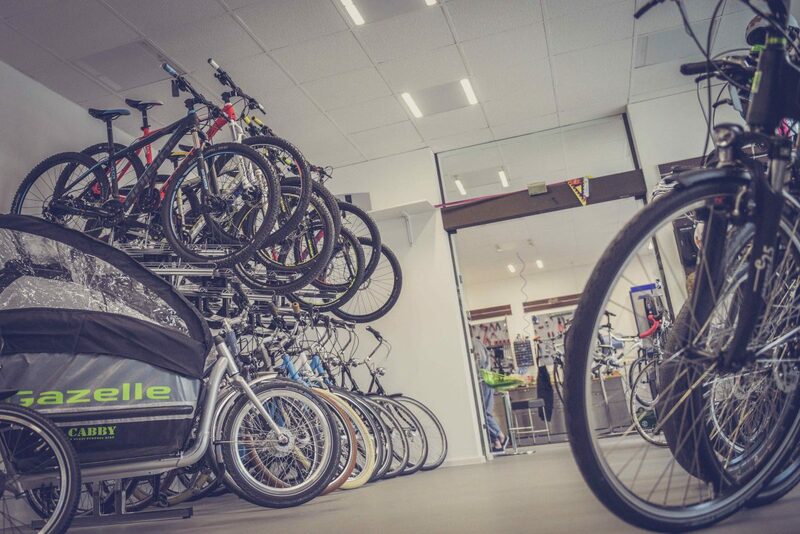 There’s a lot more to know about finding the right bike for you. One of the most important considerations when comparing the various types of bikes, and finding the one that’s right for you is the size of the bike. Most bikes are “sized” by the size of their wheels. That is, a 26-inch bike will have wheels that are 26 inches in diameter. You should be able to comfortably get astride a bike without any weird contortions, or the need to use a stepladder. Most bikes lack any sort of suspension, although some, like cruisers, will have spring-fitted seats to offer a more comfortable ride. Generally, the more robust a bike’s suspension is, the more that bike is geared for significant off-road duty. 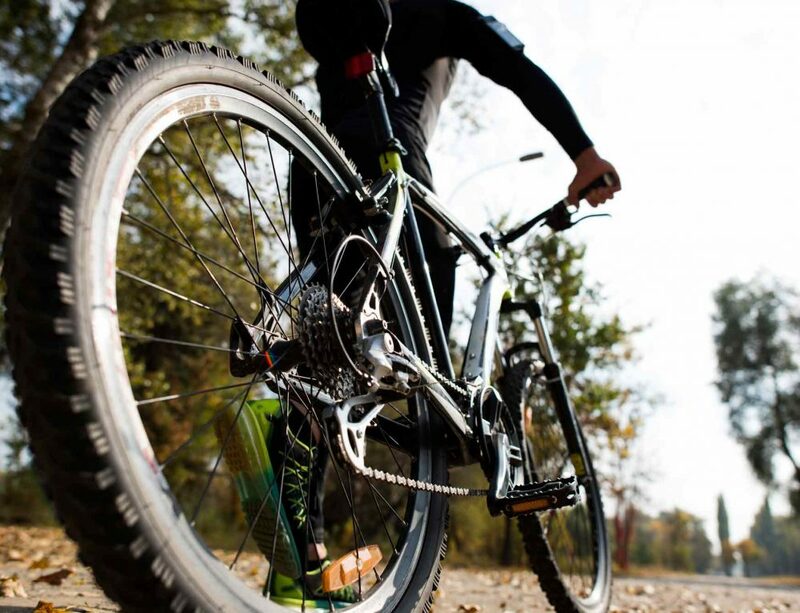 For instance, full suspensions are usually only found on all-mountain and trail bikes, while front suspensions are found on most mountain bike-style bikes. All riders will need a way to stop their bikes. The simplest form of brake system is the back-pedal brake, similar to the bike you had when you were a kid. All you had to do to lock the back wheel in place was to push backward on the pedals. Those are still around, and cruiser bikes are great examples. However, you’ll also find caliper/pinch/rim-style brakes, as well as disc brakes, both of which are operated by levers on the handlebars. Rim-style brakes are the most common, but disc brakes are more powerful, particularly if you ride in wet conditions. You’ll also find drum brakes on the market, although they’re often relegated to fancier cruiser models. 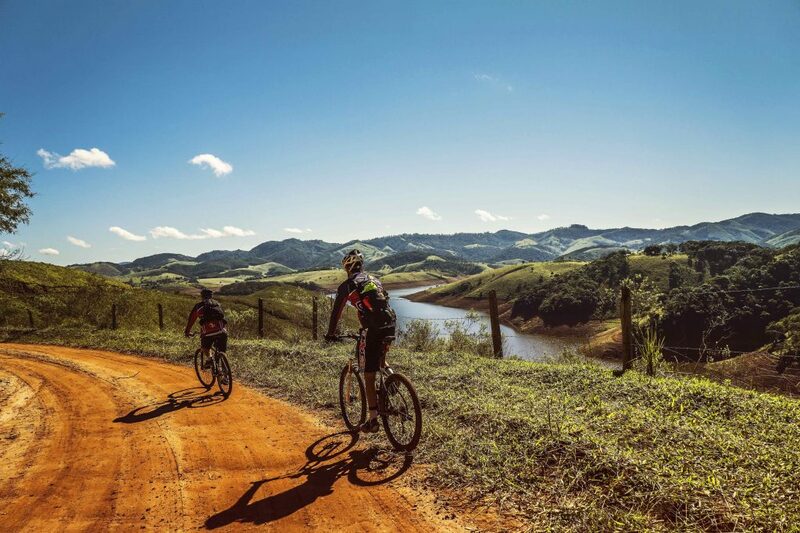 Finding the right bike for you can be an adventure. The first thing is to define your needs, goals and preferences. What do you like? What do you dislike? Then, you need to consider where you’re interested in riding, who you might be riding with, and your particular preferences when it comes to comfort, speed, durability and the like. 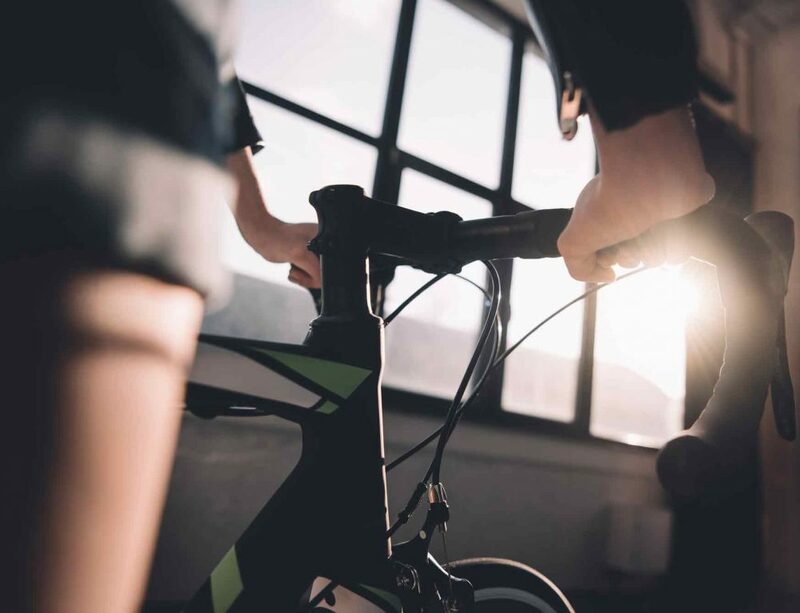 Based on that information, you can start to compare the different types of bikes, and make an informed decision that ensures you get the ideal bike for your personal needs.